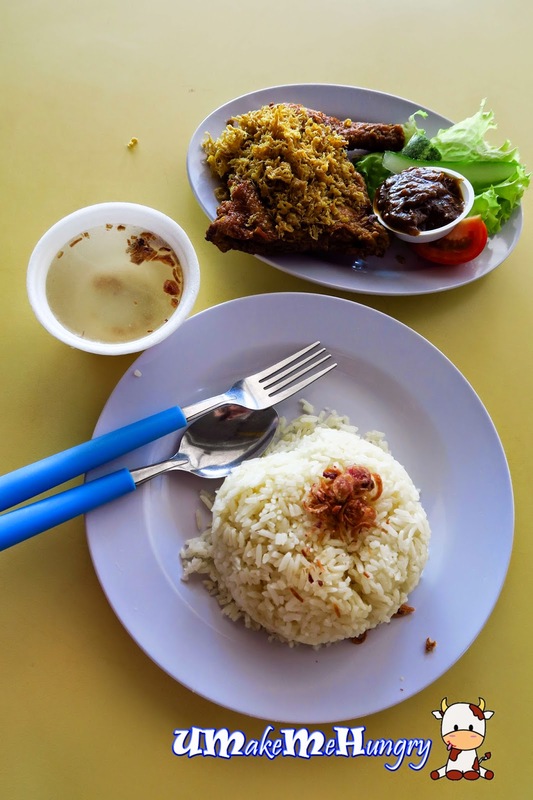 I was quite excited when I heard that we will be heading to Changi Village for Yummy food over the weekends and one of them will be Sari Bistari's Nasi Ayam Penyet. It's quite easy to locate the stall as they are at the end of the rows and can never be missed with such delicious Nasi Penyet Pictures over a striking purple background. 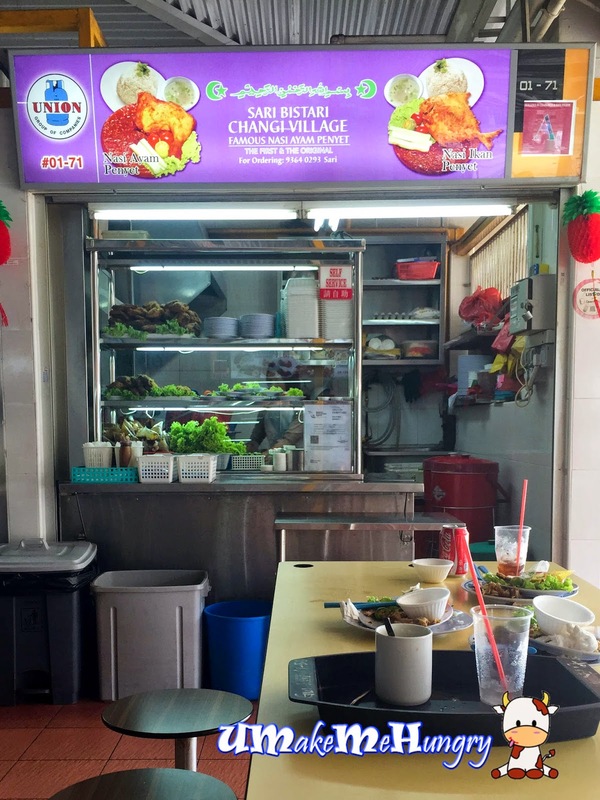 Unlike the well known Nasi Lemak Stalls nearby, there are no queues at Sari Bistari Stall which made ordering quick and efficient. In no time I received my plate of Nasi Ayam Penyet with a plate of fragrant rice and a small bowl of soup contained in Styrofoam. Rice was fragrant topped with fried onions, as well as the given soup. Ayam was deep fried into golden brown in color, smashed and flattened with cripsy crumbs covering up the big yummy thigh. It was palatable and succulent. It was crispy and easy on the teeth. However one point to note is that we have to handle the crumbs well if not it will be messy on the table. Presentation wise, they looked pleasant to the eyes with greens tuck by the side and a saucer filled with hot chilli to pair with the deep fried thigh. To wrap up, I kind of like the crispy and easy on teeth texture of the chicken but if I were to compared them to other Nasi Ayam Penyet I had before, they are consider quite decent, nice but not to die for.